UPSESSB is a short form of U.P. Secondary Education Service Selection Board. 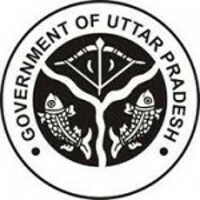 For the selection of teachers in institutions recognized under the Intermediate Education Act, 1921, the UP state Government created Secondary Education (Service Selection Boards) under U.P. Act No.5 of 1982. This board performs various functions for the recruitment of eligible teachers for secondary institutions recognized by the Board of High School and Intermediate Education. Every year this board declares various recruitment notification, admit cards, results, and syllabus.